Did you miss us? 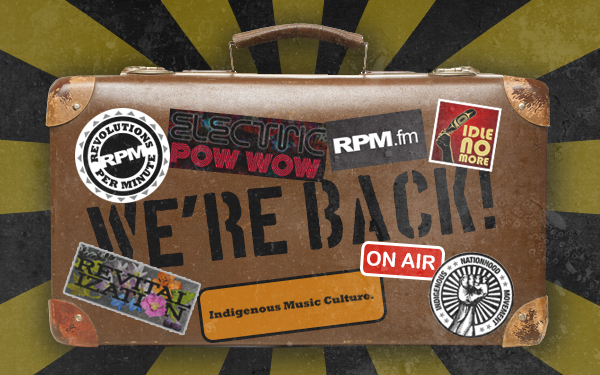 It's been a revolutionary minute since we last hit you with a good dose of Indigenous Music Culture. But we're happy to let you know that RPM is back! The crew has been busy since the winter working on music, touring, songwriting, media arts, land-based education, political organizing and a host of other arts, decolonizing and resurgence projects—all the while planning to get back online to bring you the best Indigenous music from across Turtle Island and around the world. From the #RoundDanceRevolution to Idle No More to the Indigenous Nationhood Movement, we've been deeply inspired by everything happening in Indian Country, and we're happy to be back up and running with new music, reviews, interviews and artist features. To kick things off, we have the #NationHood Mixtape—a global compilation of Indigenous and non-Indigenous artists' music in support of oppressed peoples' struggles for liberation; a review of Tara Williamson's new EP, Lie Low, from Leanne Betasamosake Simpson; a report on the recent New Zealand Music Awards and the winner for Best Maori Album, Maisey Rika; and an interview with Phoenix hip-hop duo Shining Soul! We've got lots more in the works but for now, enjoy the new music. Thanks for your patience and support of RPM—and please share the good news on all your channels. It's time for #Revolution2. Let's go.